A friend and I found Las Tortugas while traveling through Costa Rica around ten years ago and it quickly became our all-time favorite travel destination. This place is not anything like a chain hotel experience, Las Tortugas has such a rich character and local flavor that you can almost taste it in the salty ocean air. To say that the staff is friendly is to sell this place short, here you are greeted like a returning family member who was dearly missed while you were away. 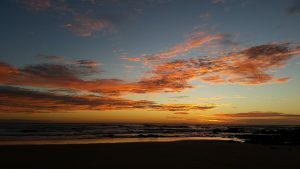 This is the only hotel that is located directly on the beach in Playa Grande, the location offers a truly unique blend of relaxation, discovery, and fun. After being here for about a week you can feel the “Pura Vida” vibe saturate your core essence as the stress riddled baggage of your normal daily life simply melts away into the sand and is washed away by the rolling tide. If you surf, Playa Grande is one of the best beach breaks in all of Latin America, there are a wide variety of peaks that are surfable about 360 days a year. If you don’t surf you can still grab a cocktail and enjoy some of the most breathtaking sunsets that have ever graced the planet earth. If I were to describe this place in a single word it would have to be “enchanted”. I love this place more than any other place in the world, so much so that years ago I moved into one of the apartments and now stay here year round. This place is more than a vacation destination, it becomes a part of who you are.